How Can You Release Only 6 Names After Making So Much Noise About Looters? The APC-led Federal Government has come under serious criticism for releasing the names of just six 'looters' after years of disturbing Nigerians with story of so called looters. The pan-Yoruba socio-cultural organisation, Afenifere; a Second Republic lawmaker, Dr. Junaid Mohammed; and the Committee for the Defence of Human Rights, among others, came down heavily on the Government over the release of a looters’ list containing just six names. They described the list as laughable while accusing the government and the APC of spreading propaganda and lies. The Federal Government on Friday made good its promise to release to Nigerians the list containing names of alleged treasury looters. The list which was released by the Minister of Information and Culture, Alhaji Lai Mohammed, in Lagos, on Friday, identified the Chairman of the Peoples Democratic Party, Prince Uche Secondus; former National Publicity Secretary of the PDP, Chief Olisa Metuh; and the Chairman of DAAR Communications, Dr. Raymond Dokpesi, as some of the people who looted the treasury. Also on the list were the names of Dudafa Waripamo-Owei, a former Senior Special Assistant to President Goodluck Jonathan; a cousin of former President Jonathan, Robert Azibaola; and an unnamed former PDP Financial Secretary. In July 2017, the Attorney General of the Federation, Mr. Abubakar Malami (SAN), said the Federal Government would publish the names of treasury looters intermittently after it must have met some conditions. 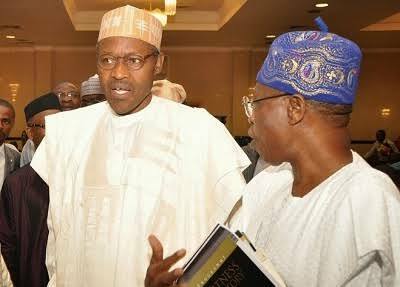 The Federal Government, through The Minister of Information and Culture, Alhaji Lai Mohammed, had on June 4, 2016, disclosed that it had recovered cash sums of N78,325,354,631.82, $185,119,584.61, £3,508,355.46 and €11,250, among others, between May 29, 2015, and May 25, 2016. Twenty-two months after, the information minister released a list with just six names. The information minister said, “The PDP has challenged us to name the looters under their watch. They said they did not loot the treasury. Well, I am sure they know that the treasury was looted dry under their watch. Yet they decided to grandstand. This shows the hollowness of their apology to Nigerians. “Let’s just give them a teaser with this list: PDP Chairman, Uche Secondus, (on the 19th of February, 2015, he took N200m only from the office of the then National Security Adviser); the then PDP Financial Secretary (on the 24th of October, 2014, he took N600m only from the office of the then NSA); the then National Publicity Secretary, Olisah Metuh, (on trial for collecting N1.4bn from the office of the then NSA. Mohammed, who stated that the list was just a tip of the iceberg, said, “We did not make these cases up. Many of these cases are in court and the records are available. Some of the people on this list are seeking plea bargain, and that is a fact. He vowed that the APC-led Federal Government would not stop talking about the massive looting under the PDP. “They brought Nigeria to this sorry pass. We are now looking around for loans to build infrastructure, and they ask us not to talk about it. We will talk about it." But the National Publicity Secretary of Afenifere, Yinka Odumakin, accused the Federal Government of spreading propaganda and playing politics with the matter, even though, he said it would be good for Nigeria to get to a point where people found to have stolen public funds were named and shamed. Odumakin also noted that none of the politicians in the current government or those who defected from other parties to the APC and have been accused of corruption was on the list. Also, a Second Republic lawmaker, Dr. Junaid Mohammed, described the APC’s short list of names of alleged looters as an “anticlimax” after about three years of talking about fighting corruption and looting of public funds. He said, “I think Mohammed, his party and the President are guilty of the lies that they have been telling Nigerians. If indeed all the noise that has been made concerns only about five people, then something is wrong and I am certainly disappointed. So you are telling me that for the three years that you have been talking about corruption and promising to release the names of looters, you have been talking about only five people. “This is because, under the laws of this country, anybody that is accused of committing an offence is presumed to be innocent until the person is found guilty by the court of law. So when you say somebody is a looter, it is a pronouncement that the person is guilty. Also, the President, Committee for the Defence of Human Rights, Malachy Ugwummadu, described the list as an insult on the intelligence of Nigerians. He said if the Federal Government was serious about total anti-corruption war, it should also “look inwards” and name ex-PDP chieftains who were now in the APC. Furthermore, he said conviction and prosecution of looters were the real proof of any anti-corruption fight.